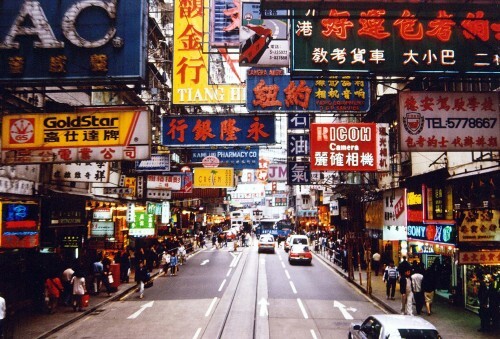 Cheap flights to Hong Kong until June 2014: only €494! Qatar Airways launched a promotion on flights from Warsaw today and you can get some cool prices. 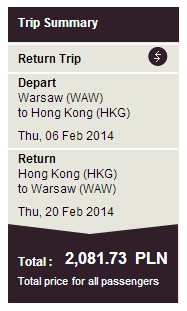 Return flights from Warsaw to Hong Kong are now available for €494 / 2070 PLN. This price includes top class service from Qatar Airways, checked in luggage and great flight time. Travel dates start from November and run until 19th June 2014. You have to book before 24th October. Flights for this good price are available basically every day! Book directly via Qatar Airways for the best price. « Even cheaper New York! Only €237!